← Keep Calm and Grunge On & a 5 Tag! I would have paid full price for that skirt, too. LOVE! I love it just as much as I thought I would after that Instagram tease yesterday! You look great. And I’m very impressed by your shopping skillz. Thanks Sarah! Now I have an idea of how it feels to win the lottery. Love that skirt on you! And you got such a good deal on those boots! Fun look! Love how you mixed those prints. 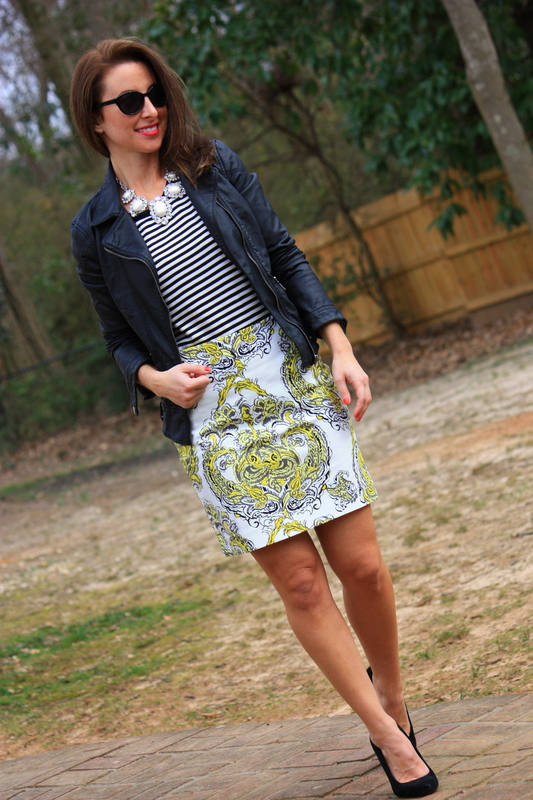 I love your pattern mixing! And that necklace is GORGEOUS! Thank you so much bb! You would look amazing in the pants, I think you should get them and then we can do a paisley post! That skirt is amazing! I need it in my life, like right now. I’m really loving the way you styled it too, I think this is one of the best mixed print looks I’ve seen in a long time. Awww, thanks Jenee! 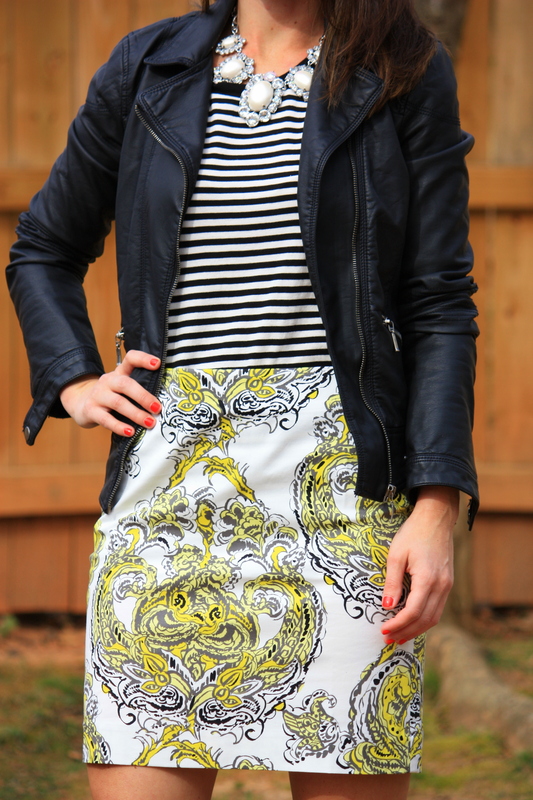 I think you need this skirt in your life too:) I know you could style this s!#@t out of it! Love the way you mixed prints in this outfit. And love this skirt. You look fabulous girl! XO! I adore this mix of prints and that necklace is gorgeous! Love the print on the skirt. May have to check it out in the pants. It looks great on you. Total score on the boots. So jealous! Super cute outfit and OMgosh on your boots score! Such an adorable outfit! That skirt is absolutely amazing, makes me wish I could pull off the pencil skirt look with my body type, wahh! XD Great outfit, I love your blog!